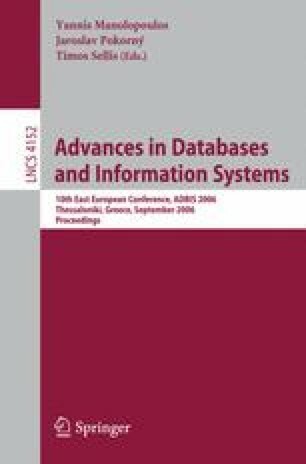 In many information systems, the databases that make up the system are distributed in different modules or branch offices according to the requirements of the business enterprise. In these systems, it is often necessary to combine the information of all the organization’s databases in order to perform analysis and make decisions about the global operation. This is the case of Data Warehouse Systems. From a conceptual point of view, a Data Warehouse can be considered as a set of materialized views which are defined in terms of the tables stored in one or more databases. These materialized views store historical data that must be maintained in either real time or periodically by means of batch processes. During the maintenance process the systems must perform selections, projections, joins, etc. that can affect several databases. This is a complex problem since making a join among several tables requires (at least temporarily) having the information from these tables in the same place. This requires the Data Warehouse to store auxiliary materialized views that in many cases contain duplicated information. In this article, we study this problem, and we propose a method that minimizes the duplicated information in the auxiliary materialized views and also reduces the response time of the system. This work has been partially supported by the EU (FEDER) and the Spanish MEC under grant TIN2005-09207-C03-02, by the ICT for EU-India Cross-Cultural Dissemination Project ALA/95/23/2003/077-054, and by UPV under grant TAMAT.